A group of former Special Forces operatives (Ben Affleck, Oscar Isaac, Charlie Hunnam, Garrett Hedlund and Pedro Pascal) reunite to plan a heist in a sparsely populated multi-border zone of South America. For the first time in their prestigious careers, these unsung heroes undertake this dangerous mission for self instead of country. But when events take an unexpected turn and threaten to spiral out of control, their skills, their loyalties and their morals are pushed to breaking point in an epic battle for survival. Triple Frontier comes to Netflix with an impressive pedigree. Written and directed by J.C. Chandor (Margin Call, All Is Lost, A Most Violent Year), the film was co-written by Mark Boal who also wrote The Hurt Locker and Zero Dark Thirty. And then, of course, there’s that rather impressive cast. Any film featuring performances from Ben Affleck, Oscar Isaac, Charlie Hunnam, Garrett Hedlund and Pedro Pascal is bound to draw an audience. Sadly, however, Triple Frontier - a film that is basically a mash-up between Oceans 11 and The Expendables - cannot quite live up to its potential. The problem with Triple Frontier does not lie with its cast. 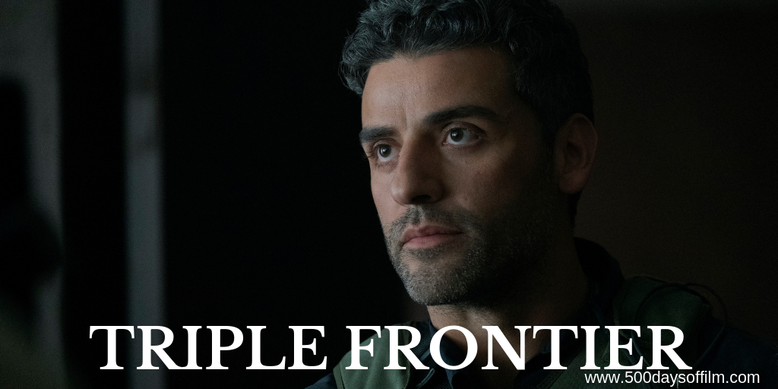 Everyone (and Oscar Isaac especially) does their best with the material they have to work with - all the actors in this film are more than capable of delivering powerful performances. Meanwhile, the problem is not in the direction or in the film’s cinematography. J.C. Chandor has proven himself to be a very accomplished director and Triple Frontier’s location shots are often stunning. The problem is the story. Not only does the plot fail to convince, it does not feel nearly clever enough to make Triple Frontier’s weighty two hour and five minute running time feel worth our investment. My advice if you are thinking of watching Triple Frontier? Watch A Most Violent Year or The Hurt Locker instead. Have you seen Triple Frontier?